VERSATILE CASES There are 28 products. Case-clutch for laptops, tablets – Nany – Small. Suitable for small laptops (up to 12in.) 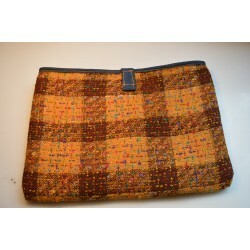 or tablets, and can be transformed into a small and trendy clutch purse for an evening out (max dimensions H19, W30). 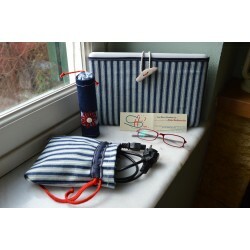 Spectacle case – Navy-Large suitable for sunglasses. It is made from cotton jeans with blue-white stripes, decorated with a blue-jeans daisy with red details (string, button) and a dark blue hem, which closes with a red string. Internally it is reinforced with a paper roll (kitchen roll – large). Spectacle case – Jeans – Large suitable for sunglasses. It is made from cotton jeans, decorated patches of sack-cloth and a blue-white stripped material and hem, which closes on top with a blue string. Internally it is reinforced with a paper roll (kitchen roll – large). Spectacle glasses – Jeans – Medium. 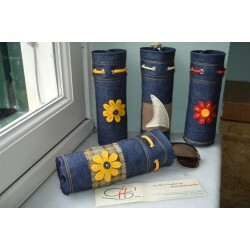 It is made from cotton jeans, decorated with a boat, made of sack-cloth and jeans, which closes on top with a blue string. 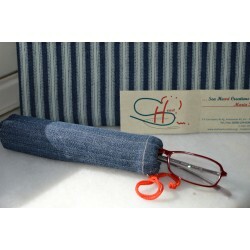 Internally it is reinforced with a paper roll (kitchen roll – large) and clad with a checkered flannel which protects the glasses from scratches and dust. Spectacle case – Navy – Small suitable for reading glasses. 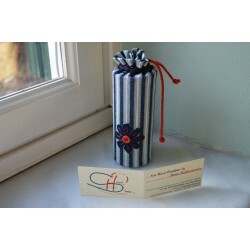 It is made from cotton jeans with blue-white stripes, decorated with a red button, which closes on top with a red string. Internally it is reinforced with a paper roll (foil roll – small). It is combined with the products LCS001-“Case laptop-clutch”, CCP001- “Cable case-pouch”. 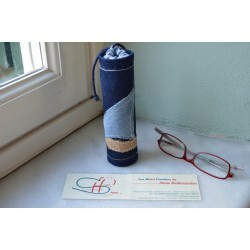 Spectacle case – Jeans – Small, suitable for reading glasses. 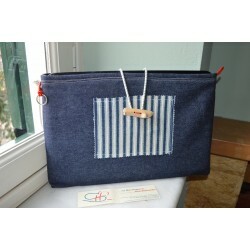 It is made from cotton jeans and can be decorated with a sticker of your choice, closing on top with a red water-proof string. Internally it is reinforced with a paper roll (foil roll – small). Case-Handbook for Laptop - Navy – Large. Suitable for laptops (up to 53 in. ), while it can also hold documents (A4) and folders (max dimensions H27, W40). 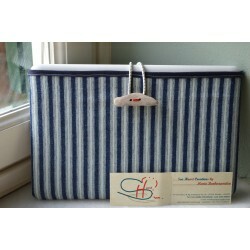 It is made of cotton blue-jeans, decorated with a patch in blue-white stripes and a handmade button from driftwood in a natural colour, which can be use to seal from the top with a nautical rubber band. 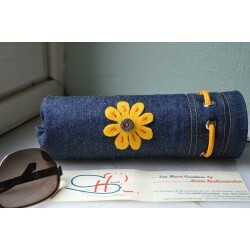 Spectacle case – Jeans – Yellow Daisy-Large, suitable for sunglasses & large reading glasses. It is made from cotton jeans, decorated with a Yellow Daisy made from baize with a metal button, which closes on top with a yellow waterproof string. It also contains a metal hook for hanging. Internally it is reinforced with a paper roll (kitchen roll – large).